When I started getting into photography some years ago, I didn’t know much about anything, honestly, but I especially didn’t know anything about wedding photography. Most of the weddings I had attended had been short and dull, so I didn’t really ‘get’ what all the excitement was about. At some point, I started seeing beautiful, professional pictures of my friends’ weddings on social media and in their homes. 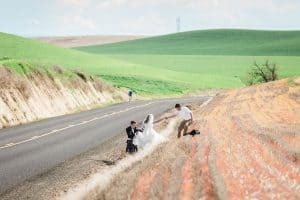 The combination of my desire to learn any kind of photography and my curiosity about wedding photography, in particular, led me to where I am now. I decided that my best bet would be to reach out to all of the photographers in our area that had, in my opinion, the quality of work that I’d like to achieve one day. I probably messaged ten or fifteen people and only got responses from three of them. One gave me a noncommittal response, one said that he was a ‘lone wolf’ that never hired second shooters, and one of them said, “yes”. The photographer who said, ‘yes’ just happened to be looking for someone like me to be an assistant. Great! I landed a job in the photography realm. I started at fifteen dollars per hour, and as my photographic skills progressed, I didn’t quickly get a raise because firstly, I still wasn’t up to par, and secondly, I was still technically an assistant with a camera. I did, however, continue taking pictures at all of the weddings I was paid to work at. The photographer I was working for started giving me constructive criticism,by email, after every wedding. The “criticism” was honest and true and while some might be offended by honesty, I decided to apply this wisdom I acquired from someone who knew a lot more than I did. In the end, those after-wedding emails helped me improve more than anything else ever did. Once I was up to par, my pay went up and my duties evolved. Instead of simply supporting the role of the lead photographer, I started shooting complementary to him, but I still retained many of the duties of an assistant. When I finally started getting my own wedding jobs, I realized how much more responsibility you have as the lead photographer. This includes, but is not limited to, communication with potential clients, meeting with existing and potential clients, booking the wedding, helping the couple plan certain aspects of the wedding such as the ‘timeline’, and more. That’s just what comes before the wedding. 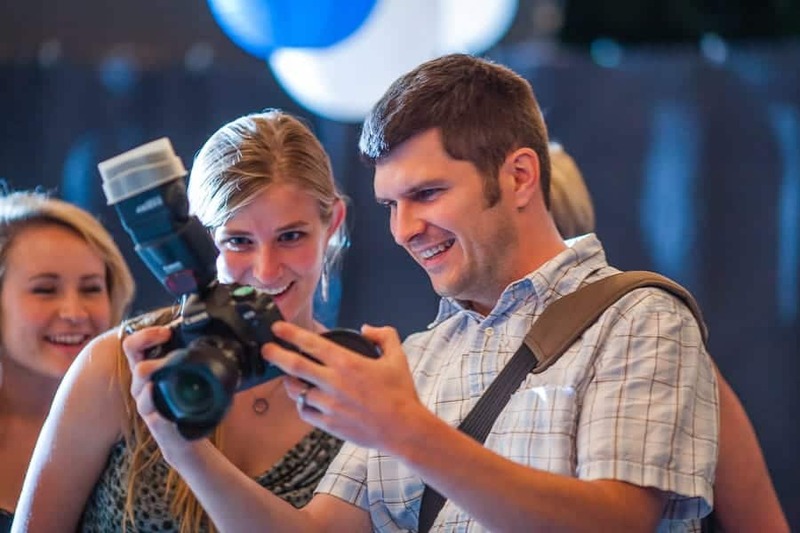 On the wedding day, the photographer has to pay attention to the timeline and apply his/her experience and expertise to each moment of the day. There’s a lot of pressure there. Then one must take on the lengthy and detailed task of editing the photos, delivering them to the client, and potentially designing an album. 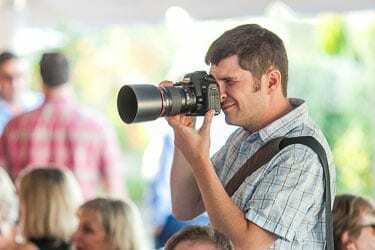 It turns out, wedding photography is about a lot more than just taking great pictures. Because the majority of the pressure belongs to the lead photographer, second shooting can be quite fun and even liberating. You have more freedom to be creative, very little pressure (in the grand scheme of things), and here’s my favorite part: you don’t have to edit any images! You have far more free time and you won’t receive any emails inquiring “how long until I get my photos?” I feel somewhat “fun and fancy free” when second shooting. That said, you must adhere to some guidelines when second shooting. These will differ from photographer to photographer, but in my experience, these are pretty standard. Whether you’re second shooting or shooting on your own, there will often be images you want to share with the world because you’re proud of them (as you should be), but when you’re second shooting, it’s different. When I second shoot a wedding, I just assume that every photo I shoot belongs to the photographer and that I won’t even take them home. 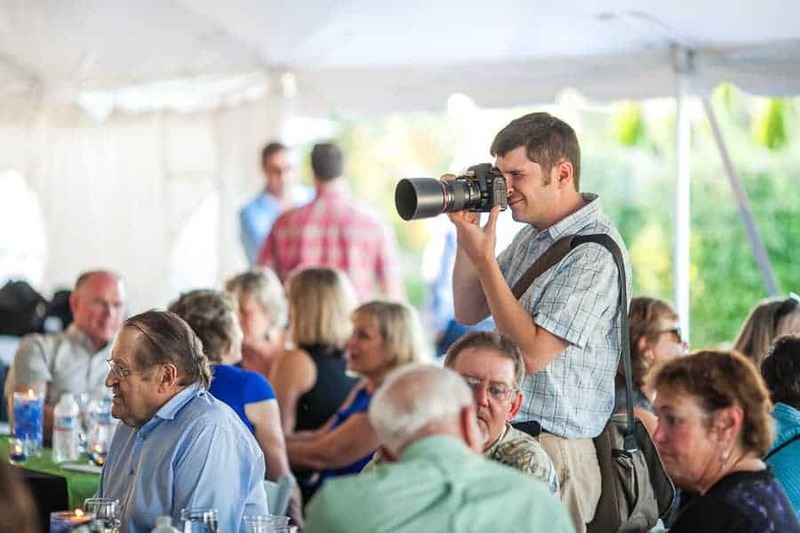 There will often be a verbal agreement stating this, but, in my opinion, second shooters should always have a written agreement with the lead photographer. I actually feel safer not using my own memory cards so that I won’t accidentally post something I’m not supposed to. Photographers often have extra memory cards for their second shooters so that there is no confusion about this. If you wish to use any of the images in your portfolio, you can always ask the photographer. They might say no, but if they say yes, I suggest only using them in print form or in private online galleries. Before taking a job as a second shooter, you should know your camera settings like the back of your hand, and understand composition and exposure. You should be able to nail focus on stationary and moving subjects, properly expose your images, and adjust your settings to avoid camera shake, etc. It might also be beneficial to have already done a few sessions on your own. Maybe a couple of portrait sessions or even a wedding. Any experience you have will help. This might seem obvious, but you should really own your own equipment in these situations, or maybe consider renting. Every once in awhile, you’ll encounter a photographer who will let you use his/her gear, but this isn’t the norm. You should, ideally, own a camera capable of shooting quality images in low light. I started with a middle of the road crop sensor camera that produced mediocre images at 1000 ISO. My camera clearly wasn’t cutting it, so after saving some money, I purchased a full-frame DSLR of the brand that most photographers in my area were using so that we could share lenses if we needed to. This worked well, but I still needed more to get by. I would recommend, on a full-frame camera, having at least a 35mm and an 85mm prime lens or a 24-70mm 2.8. I know, this can get expensive, but when you’re shooting in low light, you’re going to need lenses that have fairly wide apertures. I regularly shoot at an aperture of f1.4, an ISO of 6400, and shutter speed of 1/80th of a second. I don’t like to push my ISO beyond that, but that tells you how dark weddings can get. Sometimes, in these situations, you can get by at lower ISOs if you have a flash or two. I don’t like using direct flash, so, if I can, I try to bounce the flash off of walls or ceilings. You don’t have to have everything on my list, but it would be very helpful to be fully prepared. 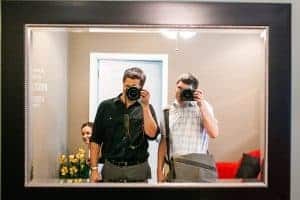 You should know beforehand what the photographer wants you to wear, but when in doubt, guys might want to wear khakis or slacks, nice shoes, and a button up shirt. Girls might want to wear blouse and slacks or skirt, or a semi casual dress in neutral colors. Other photographers might tell you different, but this is a good place to start. But, please don’t show up in jeans, cargo pants, or t-shirts! I’m half joking, but it’s happened before. Another no-brainer, but it needs to be said. You’re essentially acting as a representative of the lead photographer, so think of every one of your actions as if it reflects directly on them…because it does. In fact, why not go above and beyond that standard the lead photographer is setting? It’ll reflect well on them, but it’ll also get you hired again and provide you a reference you can give to other photographers. If you maintain your standard of work, you may soon be a sought after commodity. Conduct yourself as if you were at any other job: Have a great attitude. Don’t answer your phone and maybe even avoid looking at it. 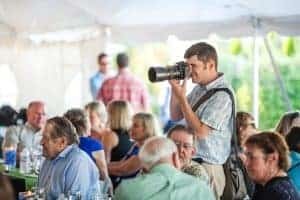 Wedding guests might offer you an alcoholic drink, but it’s probably wise to not accept unless it’s the very end of the night and the lead photographer gives you permission. Always look busy, but if you don’t know what else you can do, you can always take more candid pictures of people talking and laughing. Clients love those kind of pictures. Never disagree with the lead photographer’s creative decisions. It doesn’t matter if you’re right or wrong, it’s simply a matter of authority and…well, ethics. If you absolutely have to say something, say it discreetly. Being a second shooter isn’t entirely shooting, of course, so be ready to do any task you’re given. You’re part of a team, and aside from getting great shots, your job is to support the lead photographer in any way you can. 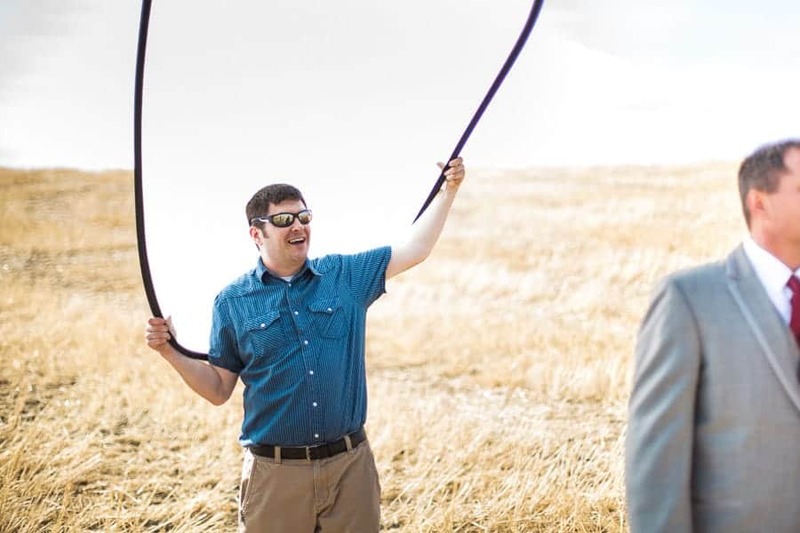 You might find yourself carrying an extra bag, holding a lightstand, setting up lights for family pictures, fetching things from their car, or even getting them food and water. Whatever it takes to help them function at their best and to create the images that fulfill THEIR creative vision. You will also want to try to anticipate not only what they will need from you, but also where they will be shooting so you don’t get in their shots. Pay attention to what they’re doing. If you have your own business cards, leave them at home. Like I said before, when you’re working for someone else, you’re essentially their representative, so you might just want to ask them for some business cards or simply direct people’s questions to the lead photographer. If possible, try to match the lead photographer’s style. If you’re at a loss for how to do this, ask the lead photographer for some feedback. For example, I shoot primes and I like a shallow depth of field, so I wouldn’t appreciate it if my second shooters were shooting at an aperture of f8 all of the time. 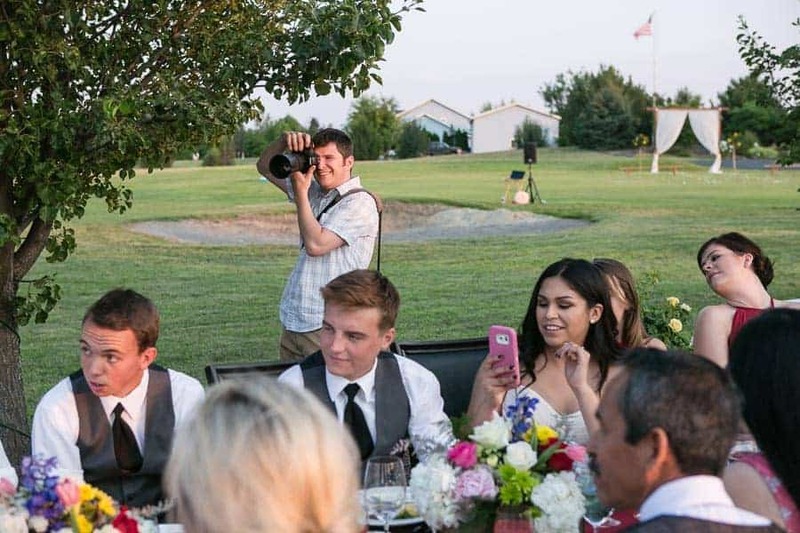 One of the most important reasons for a photographer to hire a second shooter is to have the ability to shoot two angles or perspectives at once; for instance, when the wedding party is getting ready, during the ceremony, reception, and during speeches. In the ceremony, it can be very helpful to have an angle on both the bride and groom while the bride is walking down the aisle and when they are reading their vows. This would also allow the family’s reactions to be captured if the lead photographer is focusing on the couple. During the speeches, one person can capture the speaker, and the other can capture the guests’ reactions. In other situations, by having two people, you can simply ensure that you’re getting the shot. Sometimes, you can shoot from similar angles, but while using different focal lengths to get very different perspectives. A second shooter can be an extremely important part of a photography team, whether it’s catching another camera angle, holding a light, or even simply making sure the lead photographer is hydrated. However, to be a great second shooter, you must maintain a great attitude, cultivate a good work ethic, and develop your skills on a consistent basis.